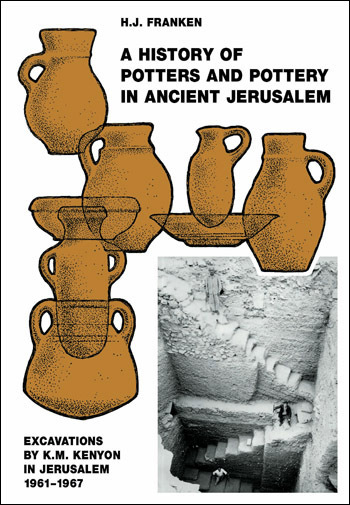 ...This work by H. Franken provides a solid and valuable overview of the developments that took place within the ceramic production at and/or near Jerusalem during several millennia. ...the book forms a good apologia for the contextual study of ceramics, which was for this work based on Franken's notion of ceramic traditions. ...as Franken stated throughout his long and fruitful career, the studyof ceramic assemblages has to transcend its purpose for dating layers and to focus on the study of the context of the production and distribution of ceramics to obtain a valuable insight into a society. It is regretted that archaeologists in this region and especially those working on the biblical period remain reluctant to fully implement this notion, which has so many advantages as testified by this book and [its] visionary author. This volume is significant and its publication is celebrated because it contains hard data, i.e., primary evidence from Kenyon's excavations that will always be important and valuable to students of Jerusalem's archaeology. The archaeological community owes Franken a debt of gratitude for undertaking this study and seeing it through to completion.